Happy New Year from Efteling UK! Have a very happy 2012, and remember, Efteling celebrates its 60th birthday in May, so start making plans now to visit! Catch us on Facebook, and please share us with your friends! Merry Christmas from Efteling UK! Updates have been thin on the ground recently due to unavoidable circumstances, however, normal service will be resumed after the festive season! Thank you all for continuing to visit the site, and have a very Merry Christmas! Here is a very amusing and uplifting video of some of the Efteling characters and guests singing along to ‘All I want for Christmas is You’. Recently, the Python roller coaster has had a makeover, with new red snakeskin patterns on the cars, and more comfortable shoulder restraints (thank you Efteling, it was never a very smooth ride for our shoulders!). Also, the parts for Aquanura have been delivered! Roll on May 31st. So are you wishing that you booked up to visit Winter Efteling but you left it too late? Fear not! 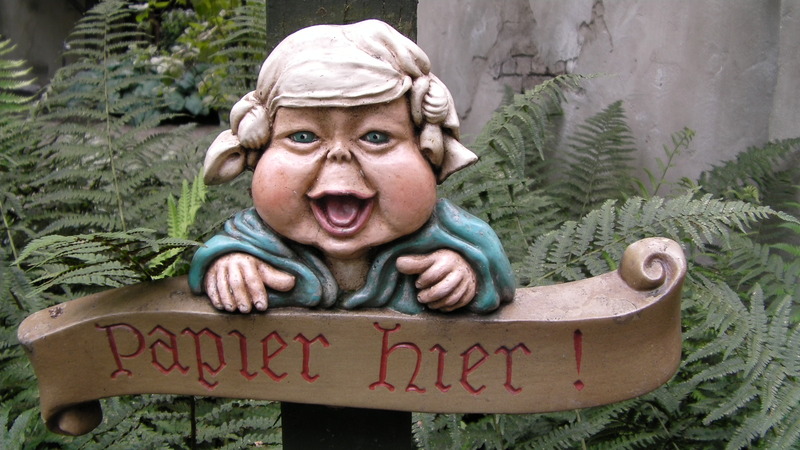 Winter Efteling carries on until February 5th…something to look forward to in 2012. Thanks for reading, keep sharing us with you friends! If you have visited Raveleijn before, you can’t help but notice the dramatic and eerie music being belted out during the show, and outside the front gates. Efteling have now decided to put this enchanting music onto a CD which is now available to order from their online store. Unfortunately for anyone living outside the Netherlands or Belgium, Efteling won’t ship items to you. 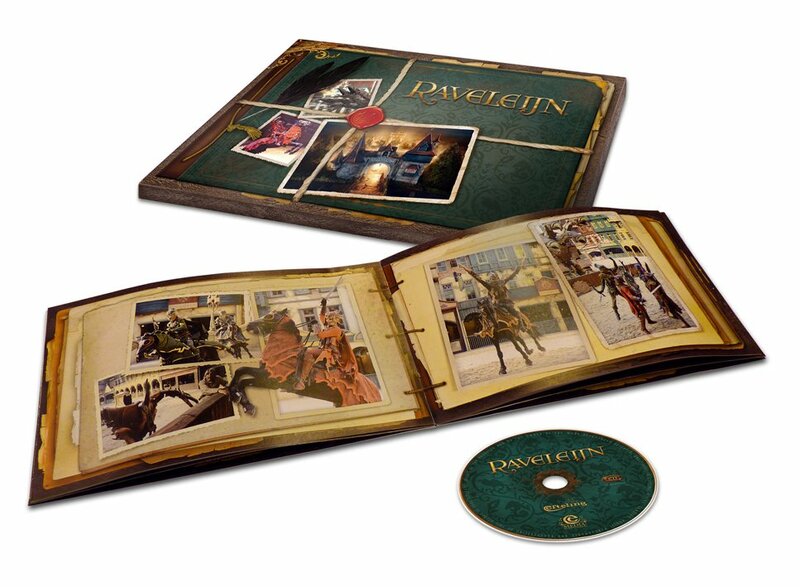 However if you are visiting Efteling any time soon, I’m sure that this CD will be available in the park. Keep sending us love on our Facebook page and tell your friends about Efteling UK! 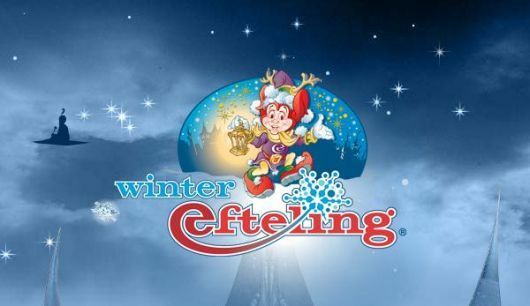 Winter Efteling is now underway, starting on November 10th and ending February 5th. What is different about Winter Efteling? Well, as well as many of the characters throughout the park being wrapped up in their thermals, guests can enjoy skating, snow sliding, skiing, a Bavarian market, crackling campfires and heaps of Christmas lights. A recent addition to Winter Efteling are the new projection shows on Villa Volta, The Flying Dutchman and Spookslot, which are very impressive! 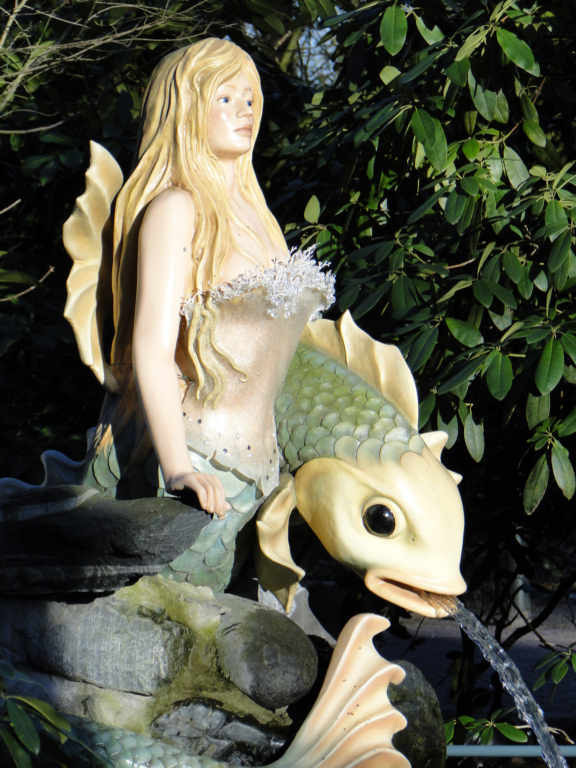 Even the mermaid wraps up for Winter Efteling! I personally haven’t visited Efteling during their Wintertime, but it does look like a lot of fun, and I love that a lot of the inhabitants of the park are dressed for the season! Please visit us on Facebook, follow on Twitter and give us the green ‘thumbs up’ on StumbleUpon! Recently we learned that a projection show, technically known as video mapping, would be taking place on the Villa Volta, Spookslot and the Flying Dutchman. Well, the first show has taken place on the Villa Volta, and I am happy to share with you this video of it, as it is wonderful! Don’t watch if you are planning to visit in the near future though, I wouldn’t want to ruin the surprise! It looks amazing, especially with the Villa Volta’s dramatic music and dark story. My jaw actually dropped when I saw this! After seeing this, I look forward to seeing the other video mapping technology on the two attractions mentioned above. Please share this with your friends, and remember to stop by our Facebook page! 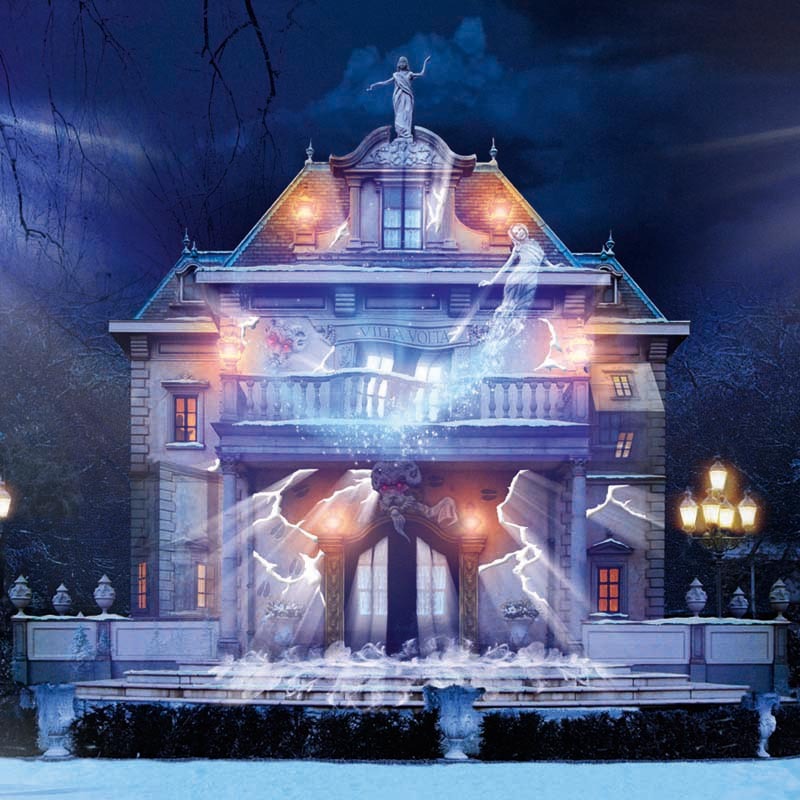 As part of the 60th Anniversary celebrations at Efteling, the Villa Volta, Spookslot and the Flying Dutchman are all to receive special treatment. This comes in the form of Video Mapping, which is essentially a projection show on each of the mentioned buildings. It is hard to describe how cool this looks, so see the video below and you can understand what can be expected from Efteling’s efforts next year. Below that is the concept art for the Villa Volta’s projection show.